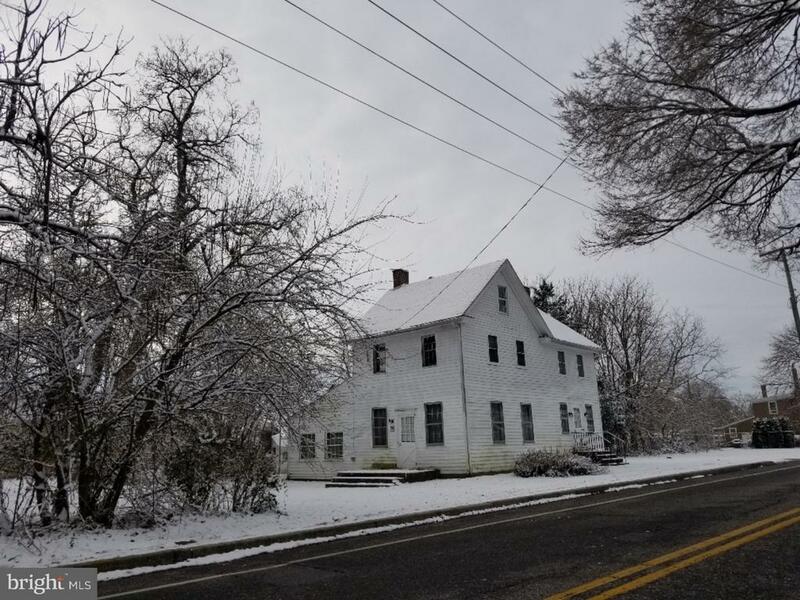 All Elmer homes currently listed for sale in Elmer as of 04/22/2019 are shown below. You can change the search criteria at any time by pressing the 'Change Search' button below. If you have any questions or you would like more information about any Elmer homes for sale or other Elmer real estate, please contact us and one of our knowledgeable Elmer REALTORS® would be pleased to assist you. "Luxurious Country Estate featuring a custom built 4,776 SF home situated on a sprawling 52 acres! The home is accessed from a long winding driveway offering complete privacy. The main entrance to the home is a welcoming central foyer with a center hall staircase. A formal dining room and living room are off to each side, both featuring wood burning fire places. The gourmet kitchen is of grandiose scale offering plenty of space for cooking and entertaining. The breakfast area is generously filled with natural light from the surrounding windows including a large center Palladian. The floor plan, although traditional, offers more depth than expected creating a wonderful outdoor courtyard. The courtyard includes an inground swimming pool as a featured amenity but is enhanced by its connection to its functional surroundings from which it is accessed from, including the Great Room, Kitchen, and Pool House. The Pool House is fit out with a full bath room, dressing area, entertainment area and is attached to a 3-car garage. The first floor also features an office and an additional bedroom / den. The second floor features a master bedroom with master bath as well as three additional bedrooms serviced by two full bathrooms. This home offers comfortable living with plenty of space for indoor as well as outdoor activities. *** You can also rest at ease knowing that the sellers have spared no expense in installing Brand New, State of the Art, High Efficiency Heating and Air Conditioning Systems. The EnergyStar Daikin ComfortPro Air Conditioner and AirTemp Furnace are well equipped to keep you comfortable and worry-free. Combined with the home's solar panel array, these units will result in substantial savings for years to come. ***"
"Experience a little piece of paradise on this gorgeous gentleman's farm with a custom designed sprawling ranch home situated on 17 acres of farmland. Open the door to the grand wood trimmed foyer flanked by a large office to the right, a massive greatroom accented with a brickwall fireplace and built in bookshelves, and a huge, bright dining room with tray ceiling to the left. What a wonderful home for entertaining or enjoying daily meals together in the custom designed gourmet kitchen with quartz countertops, hickory cabinets, double wall oven, peninsula with pull up seating, built in china cabinet and pantry closet. The cheery breakfast nook overlooks the greatroom and features French doors to the Trex deck with great views of the expansive yard. For summer enjoyment, the in-ground pool has been updated with a newer pump, and vinyl fencing for easy maintenance. The screened pool house is a great addition for summer parties or enjoying a peaceful retreat on a lazy afternoon. The pool can also be accessed from the large four season sunroom addition which opens inside to the master bedroom, greatroom or deck. Two other ample bedrooms, three full baths and laundry room complete this level. For more entertainment, there is a huge game room with tiled flooring, double closets and recessed lighting on the main floor or a full finished basement which runs almost the full length of the house. The lower level is composed of the 4th bedroom, family room, huge storage area and another flexspace with built in bookshelves which could be used as you please. 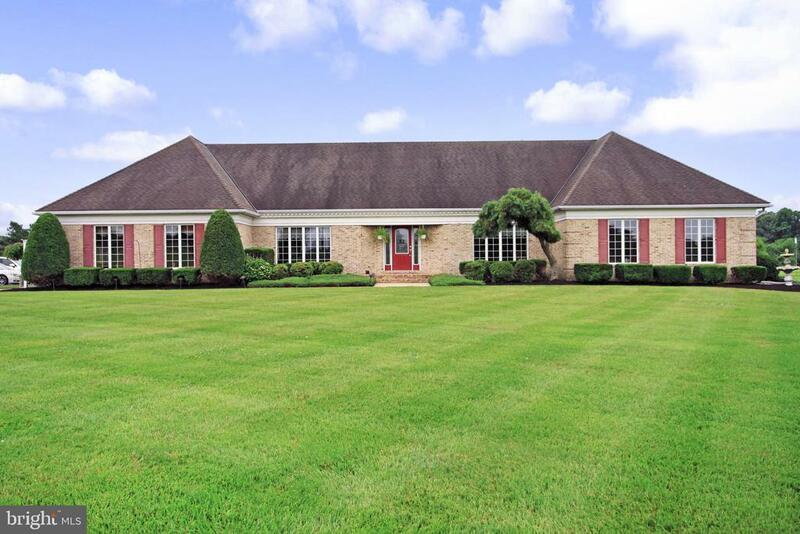 This expansive custom home has a two zone HVAC system and has been very well maintained over the years. 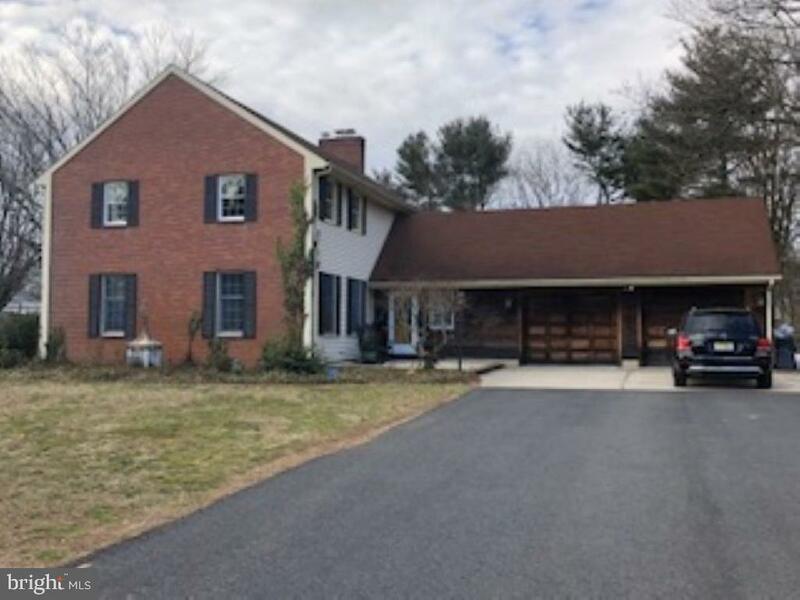 Bring your horses or enjoy managing your own farm on this gorgeous property located in desirable Upper Pittsgrove township." 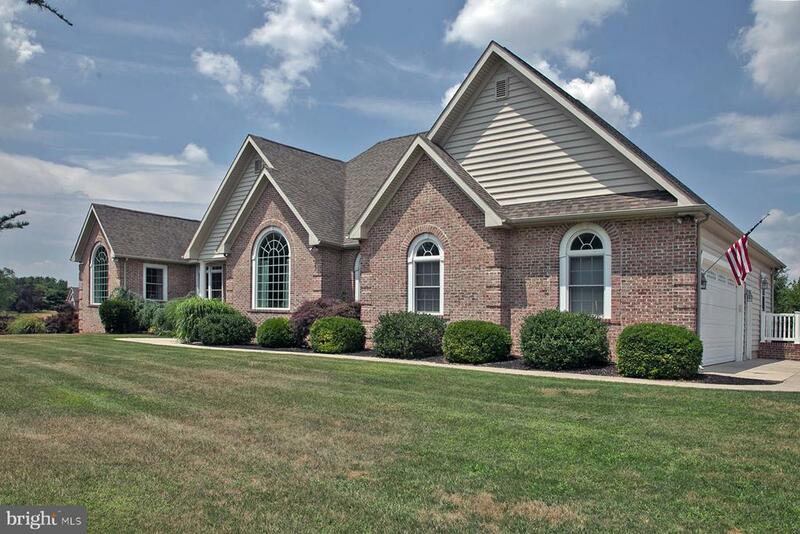 "Stunning Custom Built Home with numerous Upgrades on 19.26 Acres in desirable Upper Deerfield Twp. Country living at it's best! 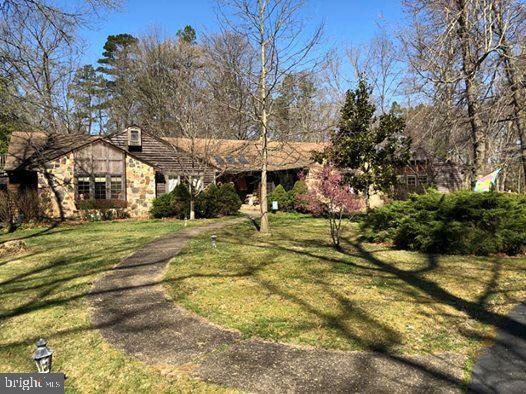 Home features Large Great Room w/Floor to Ceiling Stone Fireplace, Cathedral Ceiling, French Door and large Windows for a beautiful view of Deck w/Hot Tub. Formal Dining Room w/Vaulted Ceiling and large Custom Window. Kitchen features upgraded Cabinets, Double Island, Granite Countertops, Under Cabinet Lighting, Pantry, Full Appliance Pkg. including Built-In Microwave. Breakfast Area has French Door leading to Deck. Master Bedroom with Tray Ceiling, Large Walk-In Closet and all Tile Bathroom w/Jacuzzi and separate Shower w/5 Jets. Laundry Room is equipped w/Built-In Ironing Board, Tub and Folding Table. Anderson Windows throughout. Central Air, 4 Ceiling Fans, 26 Recessed Lights, Surround Sound for TV, Music Speakers in several rooms plus exterior Deck. Hardwood Floors throughout except Master Bedroom. Full Walk-Out Basement w/Finished Room great for Office or Music Room. Pole Barn on property. Property was a Nursery and some plants still have to be removed, details to be discussed with interested buyer. Call to view this Exceptional Home." "A hunters paradise for sure! Sitting 1/4 mile off of Parvin Mill Rd, This 3,905 sqft ranch style home sits on 17acres of seclusion, wild life & privacy! Home boasts Northwestern Cedar Siding, 4bedrooms plus 2 bonus areas that could be used as bedrooms, 3.5 Baths, main floor laundry & master suite! Kitchen features open concept with eat in area off of the formal dining room! All original hard wood flooring through out, granite counter tops, marble back splash, double sink with a BEAUTIFUL VIEW! Spacious bedrooms; gorgeous great room/family room with stone, wood burning fire place in the middle to be enjoyed in BOTH areas of the room! 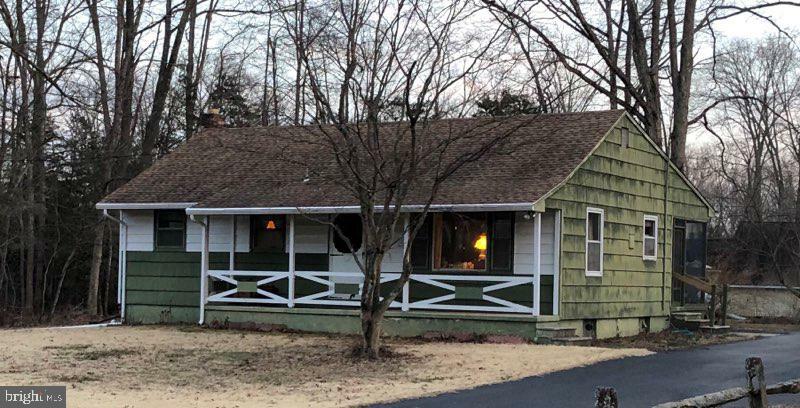 Attic finished as a bonus area with full bathroom; outside you have a 30,000 gallon custom in ground pool; 21x20 off set garage; pool house; shed; 8zone heating an cooling system; and SO MUCH MORE!" "Almost 4,000 sq. ft. of pure character. Beautiful natural private setting. Walk in the grand foyer to the open floor plan. Includes living, great room, den, dining room, kitchen cathedral ceilings in the 800 sq. ft. living room, Brand new Osburn 2400 3 1/2 foot wood burning stove. Brand new Samsung family hub 24 cubic ft. refrigerator, large bedrooms with two full baths, double sinks, laundry on second floor, master suite with fireplace and large walk in closet. 2,700 sq. ft. mostly finished basement with an office, gym, and storage . 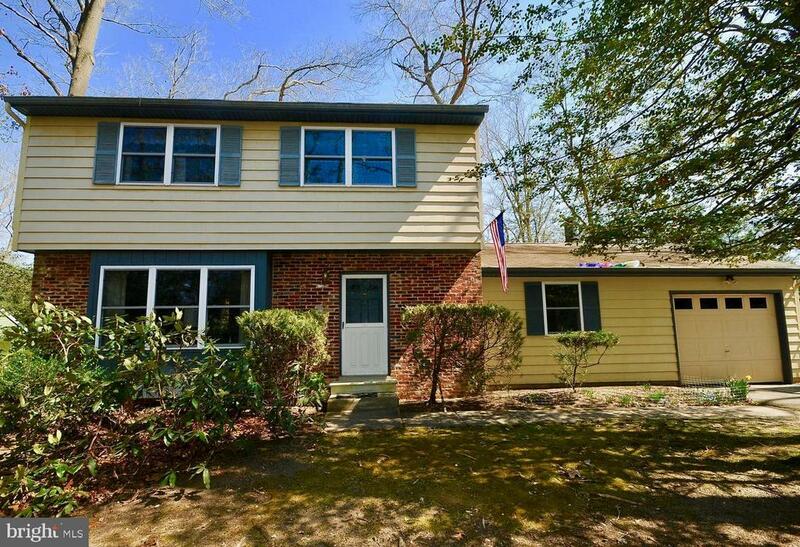 Outside features a wooded lot with a 3,000 sq. ft. concrete patio around the new oval radiant pool with thicker insulated walls, stays warm longer, back deck and a brand new shed. Brand new 15,000 sq. ft. wraparound asphalt driveway, 3 car gargage oversized 15 ft. + ceilings. Come home to your oasis! Must be prequalified." 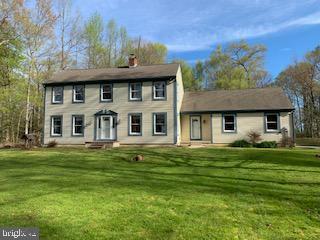 "This beautiful 2-story home is located in Pittsgrove Township and is situated on over 15 wooded acres, which is currently under woodland management. The exterior of the home features a spacious front yard, a 2 car attached garage and a large back deck with an attached gazebo with steps leading down into the large backyard, perfect for entertaining! The main floor of the home features an Eat-in Kitchen, a Formal Dining Room, Family Room, a Living Room with a fireplace and a Laundry Room. 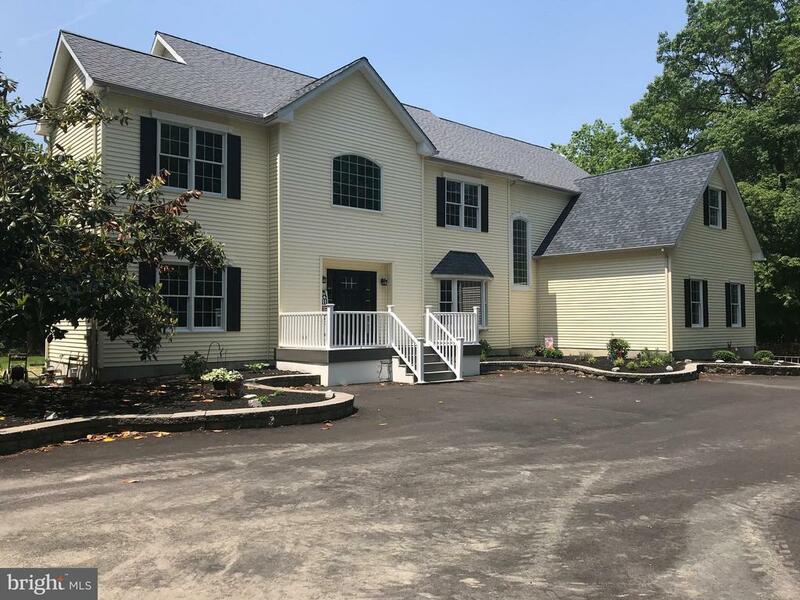 The second floor of the home features a large Master Bedroom with a master Bathroom and a Walk-in closet, as well as 3 additional Bedrooms and another full Bathroom. A large area of the basement is finished and the possibilities are endless! Don't miss out on this gorgeous home, schedule your showing today!" "Say goodbye to paying board, Simply step outside and ride!!! The proud homeowners have lived their dream here and have done all the work for you. Nothing to do but move in!!!! This well-maintained property has a natural tree lined border that keeps you tucked away on 3.47+/- Acres. Easily manageable and set up with, Two Stalls, Lighted Riding Ring (200Lx130W), 3 Pastures (130LX50W) (120Lx170W) (120Lx50W), all ready to go. This Ranch style home features an open floor plan with a Great Room that overlooks a huge kitchen with island, tiled backsplash, and double sink. The breakfast room features sliding glass doors that lead you to a deck for that first cup of morning coffee while you overlook the lush pastures. The Master bedroom is located on one side of the home and is complete with a Full Master Bath with Tub and Shower. On the opposite side of the house are two additional bedrooms that are generous in size along with a full bath. There is easy access to the main floor laundry room/mud room that also has a back entrance. Continue downstairs, and you will find a finished Family Room for all your entertaining needs. There is also plenty of unfinished space in the basement for additional living space and storage needs. There is walk-up access to the backyard from the basement which is an excellent feature alleviating the need to come through the house to store items. The roof is five (5) years old. 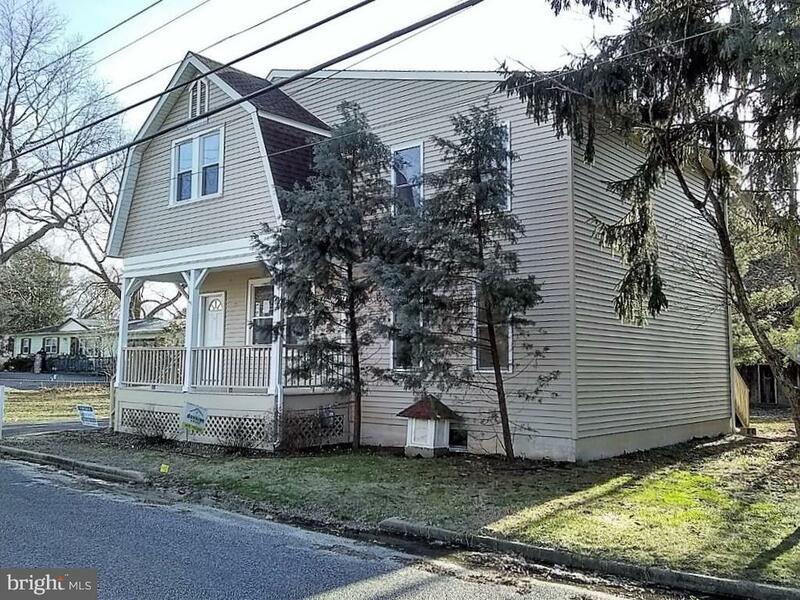 This property is close to Route 40 providing easy access to Woodstown, Delaware, Route 295, Philadelphia, and all Major bridges! Pre-qualified buyers only, please. Do not walk up to property without an appointment." "Beautiful spacious home with many upgrades. All new beautiful bathrooms throughout, hardwood floors, stone fireplace, and plenty of sunlit windows make the space feel elegant and the finished basement adds extra living space. Spacious backyard includes a deck with hot tub and a shed. Home is a must see!" "With Spring upon us, now is the perfect time to begin searching for a new home. If you want that search to be a short one, then come take a look at this beauty! 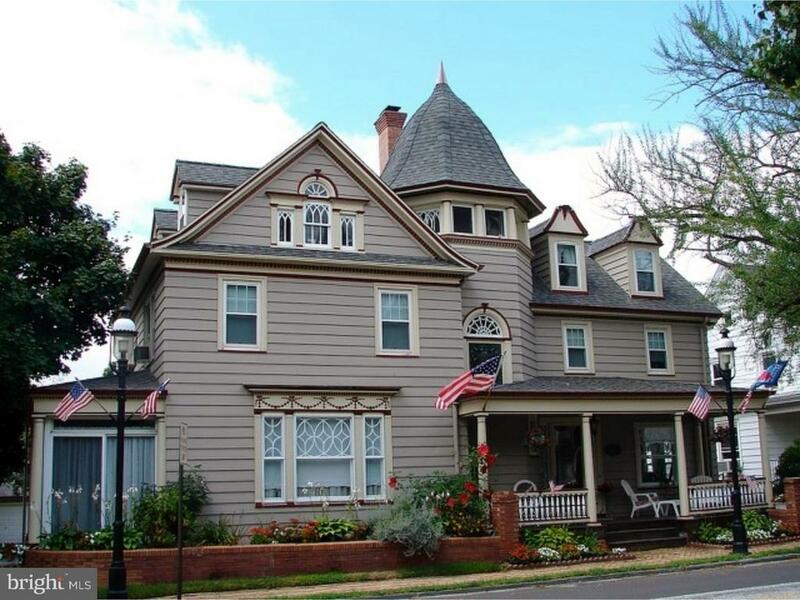 Convenient to just about everything - Philadelphia and the shore, South Jersey farm markets and vineyards, great restaurants and shopping - this home has historic significance and a livable footprint. A welcoming front porch opens into a large foyer with a lovely gas-fueled fireplace. On the right, a beautiful colonnade frames a spacious living room with distinct leaded windows. The other side of the foyer opens to the family room, designed to hold a crowd and made notable by the amazing tin ceiling. And if some overflow area is required, how about a sun porch running the depth of the home? Also located off the foyer, the dining room is so large it could easily seat the masses, and if there is overflow, they can make their way through the beautiful kitchen with stainless appliances to the breakfast room, which can seat those in search of a more intimate atmosphere. There is also a powder room on the first floor, which adds convenience to the flow. Upstairs, the second story has a beautiful master suite with a very large bathroom that offers every convenience. Two more bedrooms and a second bath will make busy mornings a breeze. Need more space? How about two more rooms on the third floor? And can we talk about the yard? Through three seasons it is surely a place that calls people to gather. Lots of lawn, beautiful landscaping, and an inviting deck will be encouraging you to light up the grill and string the party lights. If all this is not enough to get you through the door, maybe you will be impressed with the amazing, over-sized garage ready and waiting for the new owner to pull in that vintage Mustang and bring it back to life. An additional garage and a separate workshop are also in place to accommodate all the other projects on the to-do list. Who wouldn't want to call this place HOME?" "Bring the whole family to this incredible home located in the desirable lake community of Palatine Lake. Situated on a cul-de-sac , this well landscaped half acre lot and home are a must see. 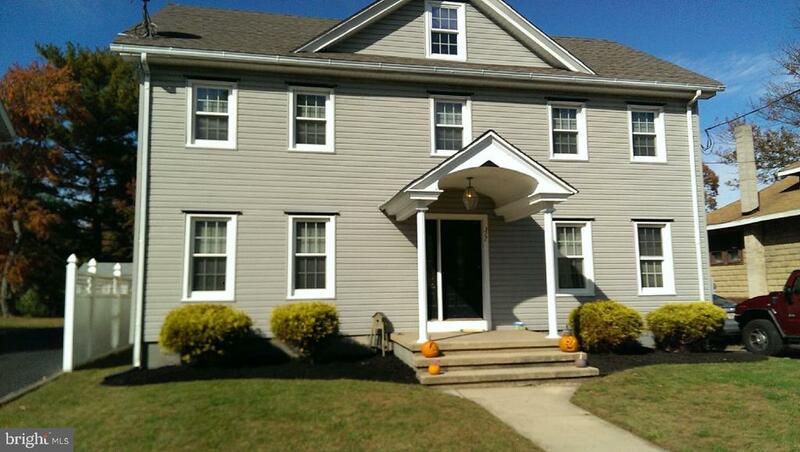 This 4 bedroom, 3.5 bath w/ in-law suite colonial offers the best in town and country living. Ceramic tile welcomes you into the front foyer, large formal LR & DR w/crown molding and hard wood floors. The study features custom built-ins. The large kitchen with stainless steel appliances opens to sunken FR with brick wood burning fireplace and French doors leading to a custom deck on the back of house. There is a screened-in porch with ceramic floored patio on the side of house. Brick patios and walkways connect to lead to a large hot tub.Upstairs there is a large master suite w/ a sitting room, brick wood burning fireplace, dressing area, walk- in closet and Jacuzzi and en-suite full bath. Other features of this property include,HW flooring throughout, a sprinkler system, gutter guards, an insulated 2 car garage, and more! This wonderful community offers great schools. The community pool, tennis, basketball courts, lake and playground are a short walk down the road. To have it all, come this incredible property today..."
"Attractive,well maintained,two story Colonial in the village of Elmer. The home was renovated in 2007- including all new windows,sheet rock, insulation,siding, roof, electric,central air. 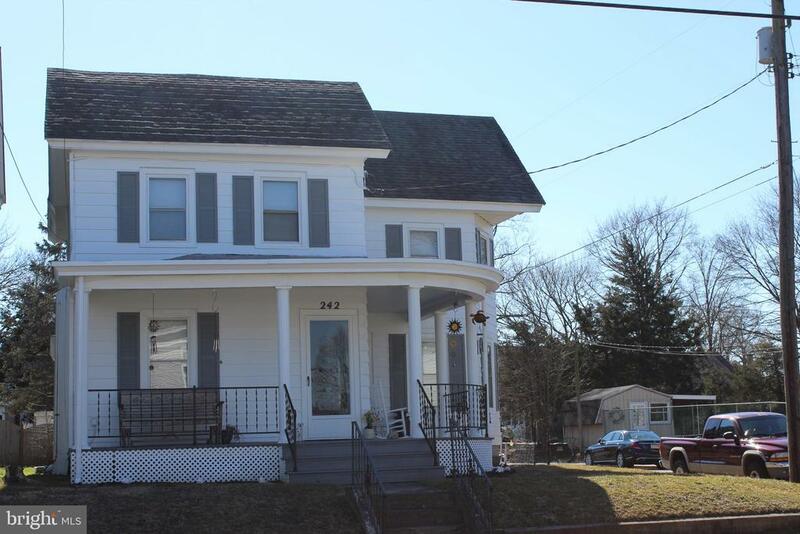 Home boasts 4 spacious bedrooms, 2 baths with large living room, formal dinning room,great for family gatherings.Granite kitchen counter tops, full basement and walk up attic for storage or additional living space. 16x20 deck and a 12x24 E.P. Henry patio. There are 2 outbuilding. A 12x16 shed and a 12x20 shed that is sheet rocked,insulated with electric. A 6' vinyl fence completes the package." "Super Cute Custom one story home just looking for its new owner. Located in the Great family development of Palatine lake with nice views and swimming pool and other activities. Home features include Bright living room with open floor plan. Two sided brick fireplace for cold winter nights that is located in living room and second side faces a nice little sitting area. Dining room leads to a nice eat in kitchen. Sun room can be accessed from either living room or master bedroom. Pocket doors lead to main bedroom that has full bath and walk in closet. Two other bedrooms finish this area. First floor laundry for convenience. Forth bedroom is located on the opposite side for privacy and can be used for home office, hobby room or use you imagination. Full Dry basement for storage or if you need more room finish to your taste. Lawn has sprinkler system so you can have the nicest landscaping in the neighborhood." "Here is your chance to own your own farm! This Ranch style home sits on 9.5 acres of land and ready for you to Farm sub divide or just enjoy the open space. The Home offers 3 bed rooms master bath with Garden tub Stall shower. The living room has cathedral ceilings wall to wall carpet. Family room has a fire place for those cold winter nights. Make your appointment today for this great property." "Bring your horses to this farm-ette in UpperPittsgrove. This 3 bedroom, 2 bath home has a large eat-in kitchen, dining room and spacious living room with a wood-stove. Upstairs are the 3 nice sized bedrooms and another full bathroom. There is lots of storage with the basement and walk up attic. 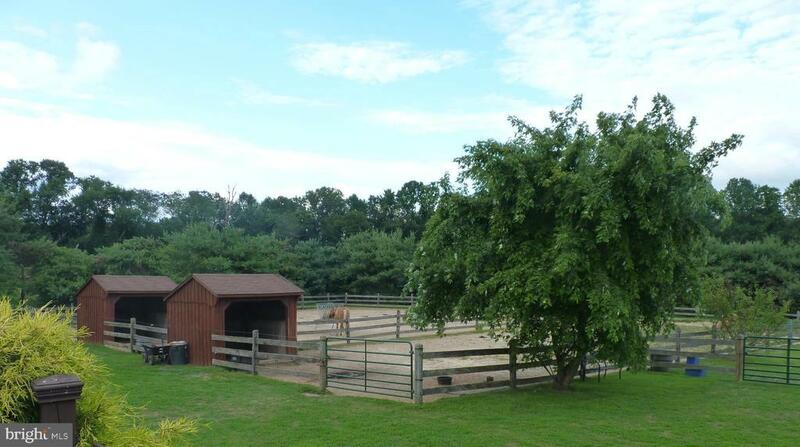 The property also comes with a detached 2 car garage and a barn with 2 newer stalls. There are two fenced in fields for your animals to roam. Watch the seasons unfold from the front porch or the back deck. The circular driveway allows for lots of parking. Close to area bridges, and highways, commuting is a breeze. Come see this property today. Property being offered as-is with no known material defects." "Here is a GREAT OPPORTUNITY for you and your family! This 3 bedroom, 2 FULL bath home is located in a great neighborhood and convenient to everything with NO ASSOCIATION FEES! Enjoy nature and watch the birds and squirrels romping around in the private and fenced yard, perfect for the little ones or your fur babies! Once entry is made into the foyer, the formal living room, with large windows is located to the left and the kitchen straight ahead. Kitchen is conveniently located adjacent to the sunken family room where there is a wood burning fireplace and sliding doors, allowing a lot of natural light and a view of the back yard. Another FULL bath with shower stall is located off of the family room. Dining room is located between the kitchen and formal living room. Upstairs are three bedrooms which include the master bedroom. The master is VERY spacious and also features a sitting area, adjacent to the walk in closet. Upstairs bath can be entered through either the master bedroom, or hallway. Don't worry about power outages since this home offers a propane fueled Generac generator. All kitchen appliances as well as washer and dryer are included with the sale. Full basement with no water issues and a recent clear termite certification from 3/18/19. New submersible pump installed in 2016. Septic just pumped in Feb. 2019. Electric water heater is 8 yrs old. Garage features a newer insulated garage as well as a entry door in the rear of the garage for easy access to the rear yard. Extra wide asphalt driveway for parking additional cars off the street. Call to make your appointment today to view this great home!!" 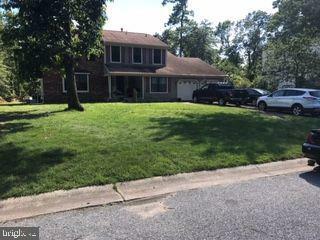 "Take time to see this 4 bedroom, 1.5 bathroom home in Upper Pittsgrove Township! Spacious home offers over 2,100 sq ft including an oversized 2 car garage. A must see! Schedule your appointment today!" "Don't miss out on this magnificently UPDATED 2 bedroom, 1 bath home on a 1.0-acre lot in Elmer. Spanning over 2500 SF, this home features a living, dining and laundry rooms with new flooring & fresh paint throughout! Enjoy the beauty from the stunning front porch to sit and relax on, upgraded kitchen with built-in cabinets and NEW stainless steel appliances, beam ceiling and window seat! The oversized storage shed is perfect for all your extra storing needs! Being sold AS IS, WHERE IS, Buyer is responsible for all inspections, CO and certifications. All information and property details are deemed reliable but not guaranteed and should be independently verified if any person intends to engage in a transaction based upon it. All room dimensions are approximate & need to be verified by buyer. This property is eligible under the First Look Initiative for the first 21 Days on Market. No investor offers until first look period expires." 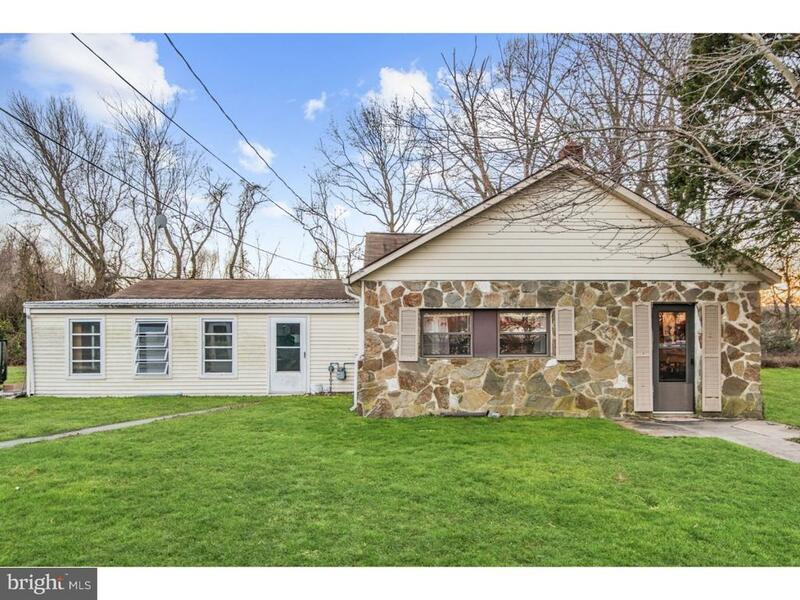 "Spacious brick rancher offers over 1,700 sq feet on sits on a nice lot. Slate porch leads to the front door that enters into a large living room with picture window and fireplace. Living room opens to the dining room, full working kitchen with plenty of counter top space, cabinets and kitchen sink window overlooking the back yard. Laundry area is off the kitchen however can be relocated to the basement. Three bedrooms, full bath is accessible from the Master bedroom or hallway. Half bath also located in the hallway. Beautiful hardwood floors through out. Full basement partly finished with open stairs, pool table and a lot of storage closets. Workshop and storage area in the basement also. **New septic system is being installed." "**Motivated Sellers** Welcome Home to this charming property in the quaint town of Elmer! Walk up to the inviting front porch and enter the home where you will find original character combined with modern amenities making this home efficient and comfortable. There have been plenty of updates done....septic, roof, electrical system, kitchen, bathrooms and windows! Make your appointment to see this wonderful home today!!" "PRICED TO SELL!!! Great opportunity! This property offers many possibilities. Rancher style home with store front right next door. You can run a business in this spacious, well maintained building and live a few steps away. Or rent it out. Property includes a well maintained commercial/retail building next to the house with highway visibility. 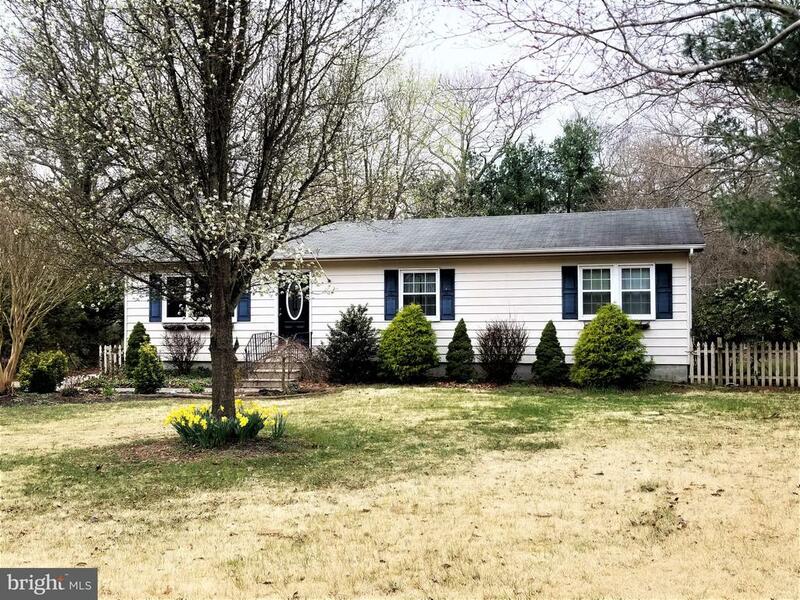 There is a 3 bedroom, 2 bath ranch style home with spacious rooms, enclosed sunroom, new washer and dryer. Nearby schools include Upper Pittsgrove Elementary school, Daretown School and Arthur P Schalick High School. Sold as is. Buyer responsible for all the inspections and certifications. This property offers many possibilities. A MUST SEE. Come bring your offer!!!" "Close to nature and Parvin State Park! 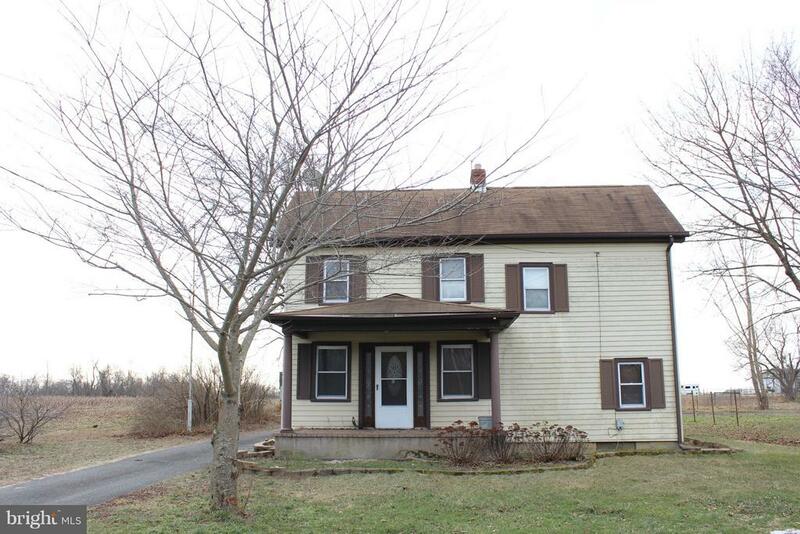 Lovely rancher in peaceful Pittsgrove Township. Gas heat and Central Air. Newer kitchen and appliances. Large fenced yard with outdoor shed in as is condition. Full basement that is partially finished. 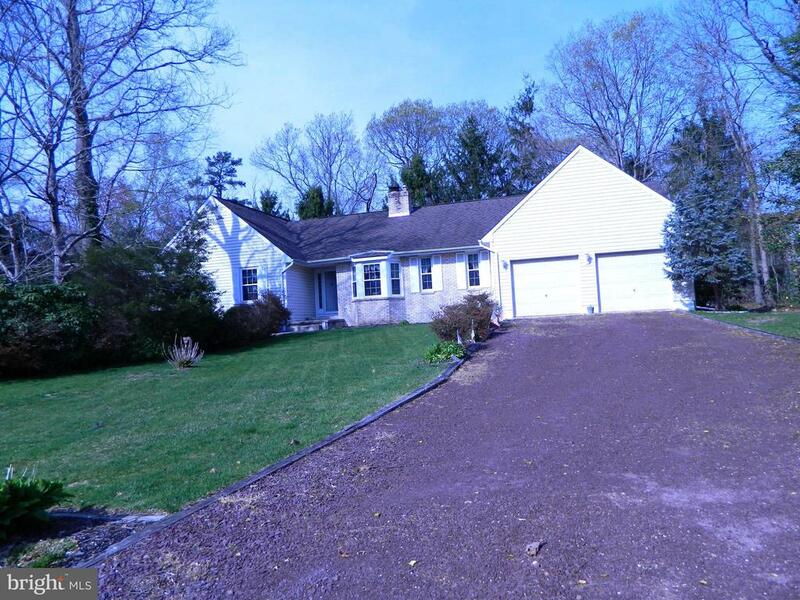 Desirable Pittsgrove Township School District." 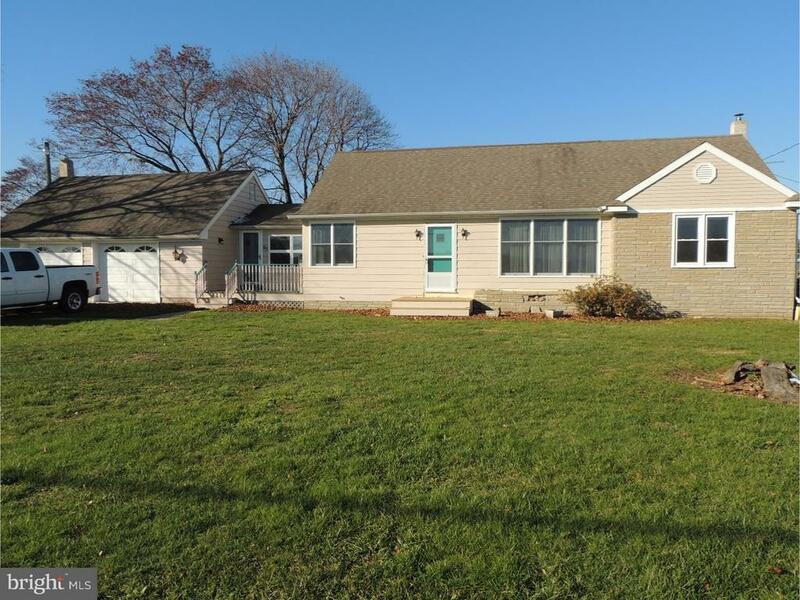 "Cute as can be three bedroom, single bath home located in Pittsgrove Township. Full basement. Freshly painted. Oversized screened porch overlooking the big shaded back yard. Double size lot Move right in." "Own a piece of History. This home is one of the original homes to be built in the quaint lil town of Elmer. Home sits at the corner of Main and Salem St. Requires extensive work." 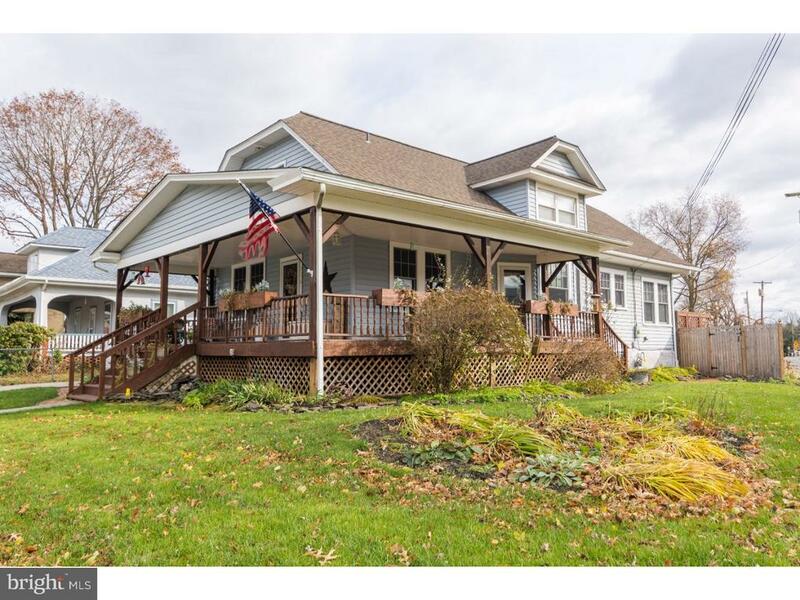 "Buy an original with this incredible Colonial Home, with a wrap around front porch, on a large corner lot in Elmer. The beautiful exterior and porch were just recently painted and are ready for you to spend time enjoying the nice neighborhood. As you enter into your large living room with lots of windows bringing in the natural sunlight, there is a gas vent-less fireplace and pocket doors that lead to the spacious formal dining room. First floor also includes family room(that could double as a first floor master bedroom with its own closet)This room also has ample sunlight with large windows and its own outside entrance. There is a nice sized eat- in kitchen with a pantry, nice counter tops and back-splash. First floor also includes laundry area. The upper level includes 3 bedrooms and full bath w/new vanity and flooring. The walk up attic and partial unfinished basement provide tons of storage space. The large backyard is fenced in and leads to a 2 car detached garage (electric to garage is disconnected). Seller will install a NEW SEPTIC SYSTEM. Public Water Conveniently located close to downtown and close to Rte 55.Come see this affordable dream house today! Home is being offered as-is with no known material defects, however new septic will be installed."